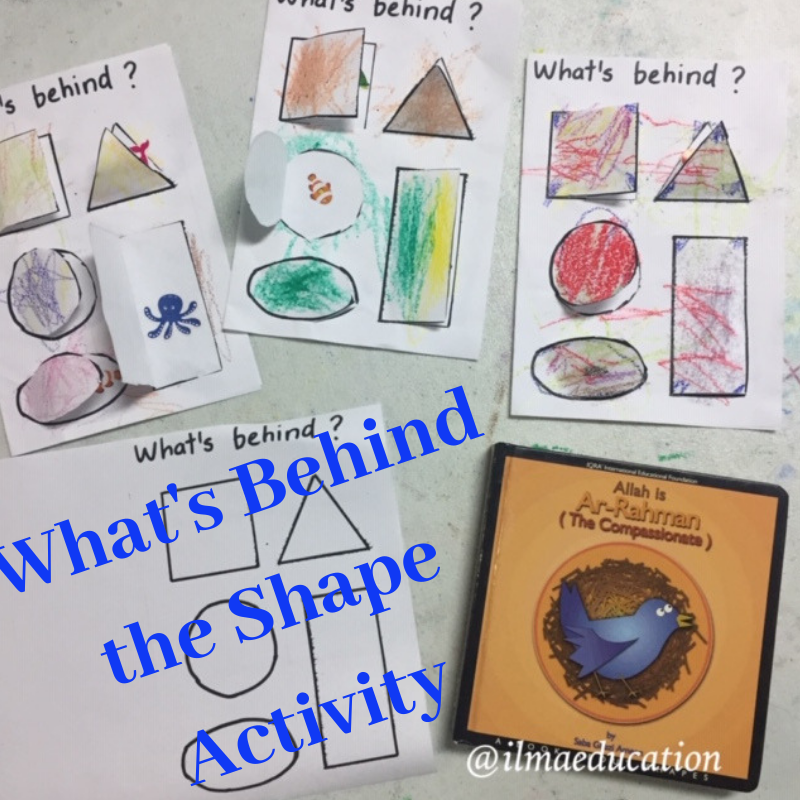 This activity combines 3 areas of learning: shapes, position and Islam. The idea for this activity came from this book 'Allah is Ar-Rahman )The Compassionate'. This is a board book that has lift-the-flap shapes where children can look behind the shapes to see what's there. First, we read the book. Children love this book because they love the element of surprise of not knowing what's there and then finding out. I've drawn some shapes onto one half of a sheet of paper and wrote the title 'What's behind?' 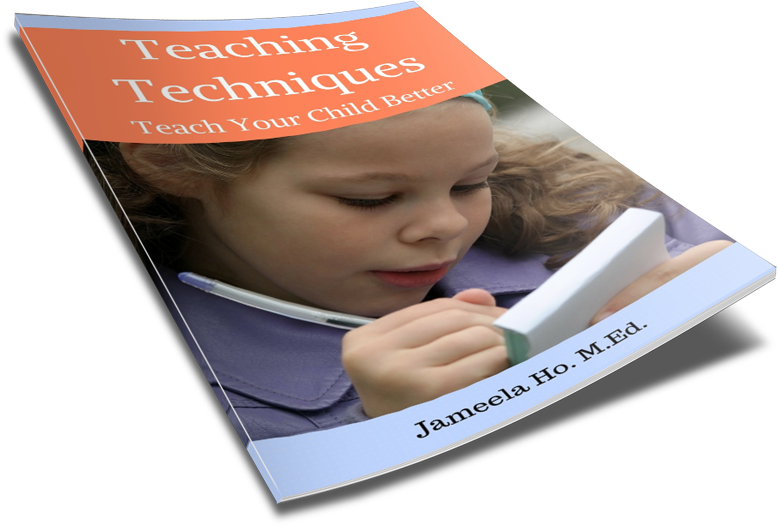 You can download it here or you can draw your own shapes that your children are learning. Children then colour in the shapes. Once they've finished colouring then I cut out the shapes on two or three sides so that it's still attached on the last side to form a flap. I then folded the paper in half and glue the shapes side down to form a backing (without gluing the flaps). Children select one sticker and place each one behind a shape. 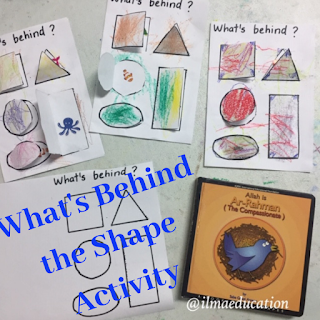 I ask a child what's behind one random shape, to which they have to select the right shape and tell me what's behind it. As you can see, it's great for teaching children the position word 'behind' and the different shapes.